The O-GEN series oxygen generators extract the available oxygen in the ambient air from the other gases by applying the Pressure Swing Adsorption (PSA) technology. During the PSA process compressed, cleaned ambient air is led to a molecular sieve bed, which allows the oxygen to pass through as a product gas, but adsorbs other gases. The sieve releases the adsorbed gases to the atmosphere, when the outlet valve isclosed and the bed pressure returns to ambient pressure. Subsequently the bed will be purged with oxygen before fresh compressed air will enter for a new production cycle. 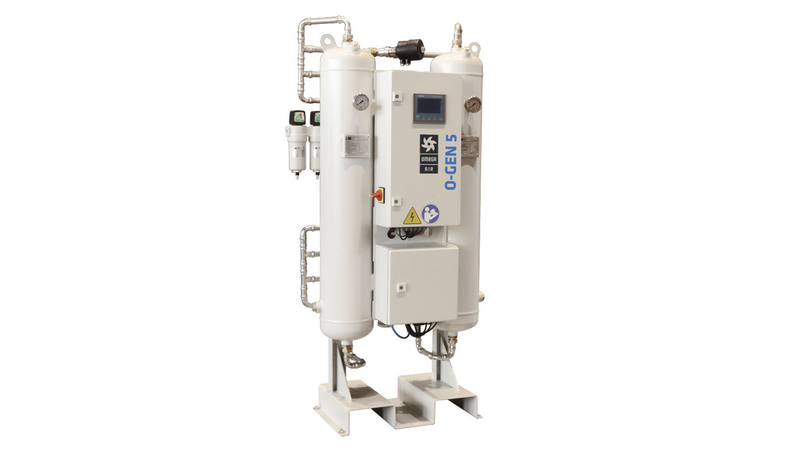 In order to guarantee a constant product flow, O-GEN oxygen generators use modules of two molecular sieve beds, which alternatively switch between the adsorption and the regeneration phase. Under normal operating conditions and with correct maintenance the molecular sieve beds will have an almost indefinite lifetime.